It’s probably not a secret that I absolutely love the NBA. The NBA Playoffs have been absolutely terrible. Many fans and experts anticipated, even going all the way back to last July, that the Cleveland Cavaliers and Golden State Warriors would meet in this year’s NBA Finals. The two teams had met in the Finals in both 2015 and 2016, with each side winning a championship. With superstar Kevin Durant joining Golden State, it became obvious that the two teams were on a collision course to meet in June once again, barring injuries or other unforeseen events. Even then, I still found the concept of a trilogy, or “three-match”, if you will, fascinating. The problem was not in the final matchup but rather in the lead-up to it. For example, the first three rounds of the NBA Playoffs featured just two Game 7s. 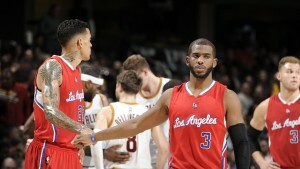 The first one, between the Utah Jazz and Los Angeles Clippers, took place on April 30, with the winner (Utah) earning the right to be eliminated by the Warriors in the next round. The other Game 7, held on May 15 between the Boston Celtics and Washington Wizards, earned the Celtics a place in the Eastern Conference Finals where they would be promptly smashed by LeBron James and the Cavaliers. Even when a series was competitive and interesting, you knew what the ultimate outcome would be for the winner. This was never more evident than in the Warriors’ and Cavs’ collective rampage through their respective conferences; the two teams went a combined 24-1 before meeting in the Finals, and the one combined loss happened when Celtics guard Avery Bradley hit this incredibly glitchy buzzer-beater to defeat the Cavaliers in Game 3 of the Eastern Conference Finals. Presently, Golden State leads Cleveland two games to none in the NBA Finals and the series is quickly becoming a matter of when, not if, the Warriors are crowned champions; the Warriors’ average margin of victory in the first two games has been 20.5. The league put all its eggs in the three-match basket and may be getting what it deserves in a dud of a championship series. Part of that is because of Durant’s move to sign with the Warriors on a two-year deal last summer. His ability to do so is an outgrowth of the league’s bloated salary cap, one that ballooned from $70 million to over $94 million in the span of just one year. Because of that, the Warriors had the money to invest in Durant and the NBA had eleven months to kill before the Cavs-Warriors Finals matchup. That thought leads us to the NHL’s Stanley Cup Playoffs. The Stanley Cup Playoffs have been the polar opposite of the NBA’s; unpredictable, random, and, most of all, exciting. 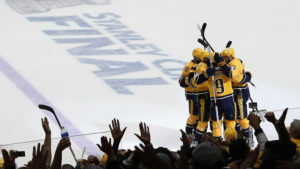 The Nashville Predators, the bottom seed in the Western Conference and, by points, the 16th and very last team in the playoffs, find themselves two wins away from a championship after tying the Stanley Cup Final at two last night in front of their raucous fans. Each conference’s top team was eliminated before the Conference Finals, and the Ottawa Senators, the 12th-best team in the Playoffs, reached the Conference Finals and took the defending champion Pittsburgh Penguins to a double-overtime Game 7 that ended with a Chris Kunitz goal to send Pittsburgh to its second straight Stanley Cup Final. 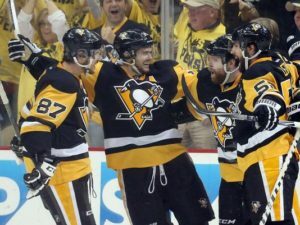 Hockey’s playoffs have been completely different from the NBA’s; while they’ve had just three Game 7s, the Stanley Cup Playoffs have had 27 overtime games and five games that have gone to two overtimes before a game-winning, sudden death goal. In reality, it’s likely the NHL Playoffs have almost always been more interesting than the NBA Playoffs, but it took a confluence of events like this year’s for all of us to realize that. Perhaps the most appropriate symbol of the sudden crossover between the two sports is NBA legend Charles Barkley. Barkley, a television analyst who’s unafraid to speak his mind, has taken frequent shots at the NBA Playoffs for their lack of intrigue. Last month, Barkley went so far as to casually admit that he was watching the NHL Playoffs while not fulfilling on-air duties for TNT, one of the broadcasters for the NBA Playoffs. Last night, Barkley appeared on NBC’s telecast of Game 4 of the Predators-Penguins series, praised the Stanley Cup Playoffs, criticized the NBA Playoffs, and announced that Gary Bettman had invited him to Nashville for Game 4 (which, if true, is brilliant public relations by the NHL). While he didn’t exactly tow the company line, Barkley brought up a good point with his comments. The NBA Playoffs haven’t been exciting and the Stanley Cup Playoffs have. Why would you watch a television show if you know, to a certain extent, how the series is going to end? The Stanley Cup Playoffs, on the other hand, are completely unpredictable, and while the game may not always be played at the highest level, you legitimately don’t know who’s going to win on any particular night. It’s truly worth watching just about all of the time. When the Celtics did defeat the Cavaliers, it was considered one of the most shocking upsets in the history of the NBA Playoffs. Keep this in mind: Boston only won one game! That one win was considered one of the most stunning results in recent memory, and it demonstrates just how much dominance the NBA’s top two teams hold over the rest of the field. As crazy as it sounds, I don’t fault Kevin Durant for leaving the Oklahoma City Thunder and joining the Warriors last summer. His decision was enabled by the expanding salary cap and he made an individual sacrifice, of both spotlight and finances, to win. I can’t find fault with that, but I can find fault with a system that allowed the Warriors to have four All-Star caliber players on their roster, as well as four of the top 20 players in the game today. It’s not the fault of Kevin Durant or LeBron James that the NBA Playoffs have been atrocious. Both men and their teams are simply trying to win a championship and the rest of the league has not been able to catch them. But, we can point out that the NBA Playoffs have lacked the excitement and mystery that most fans, including myself, want. The championship series was supposed to save the league’s sinking ship, but those prospects now look rather bleak. That has led us to the Stanley Cup Playoffs, a far more interesting and unpredictable affair that will end with either the Nashville Predators or Pittsburgh Penguins as champions. The fact that we still don’t know, even after Game 4 of the Stanley Cup Final, who will hoist the trophy speaks volumes to just how much we should appreciate hockey, especially during these times in sports. Sidney Crosby is one of the National Hockey League’s biggest stars and most recognizable faces. Today, he’s also something else: the poster-boy of a concussion problem that has quietly plagued the league for years. For as critical as we often are towards football’s occasional concussion ignorance, Crosby likely would have been immediately entered into the concussion protocol if he played in the NFL. After all, the NFL was shredded for not forcing Cam Newton into its concussion testing after this hit, which, comparatively, doesn’t look nearly as bad as Crosby’s. Unfortunately, the Crosby debacle would be far from finished after the dangerous collision. After Game 6, Crosby was asked by reporters whether or not team doctors evaluated him for a concussion during the game, and he responded in the affirmative. After Crosby was questioned, Penguins coach Mike Sullivan was asked the same question and said that his star player wasn’t examined during the game. So the player, who may have been concussed, and the coach, who is responsible for the player, are sending two completely different messages about what happened. Not great, Bob. This is where the problem arises. If you watch Crosby try to get up from his collision, he is very clearly slow to get to his skates and even uses the side boards to help him get back up. It would be reasonable to assume that the Penguins’ coaches could miss Crosby’s struggle as the action moved toward the defensive end of the ice. However, that is where the on-ice officials, and the league’s New York offices, are supposed to help the coaching staff and the injured player. This year, the NHL revamped its concussion policies and added a comprehensive staff of league spotters in the league office to watch each game and specifically identify players who may have suffered head injuries. Additionally, the New York spotters work in conjunction with concussion spotters in the arena and game referees to identify potential concussions; the spotters and officials have the authority to force a player to leave the game if they exhibit signs of a possible head or neck injury. This is similar to the NFL’s protocol that forces players to be immediately removed from the game when they exhibit those same warning signs. While players can try to game the system, as Herm Edwards smartly noted, the NHL’s new policies seemed like a good start towards addressing a major problem in one of the most violent sports on the planet. The catch here is that the entire system literally self-destructed in front of everyone’s eyes on Monday night. Crosby took his tumble, the spotter(s) didn’t force Crosby’s removal from the ice, Crosby didn’t pull himself out (and why would he), and the Penguins’ coaches didn’t seem to notice anything wrong with one of their clearly-shaken players. While it is clear that the NHL is invested in protecting its players from head injuries, the implementation of the system failed miserably in Sidney Crosby’s case. Here is the issue that must be faced in this situation: is our collective outrage about the NHL’s handling of Sidney Crosby have more to do with concussions or Sidney Crosby? For instance, if Trevor Daley was boarded and came up very slowly but was allowed to stay in the game, would we be this angry about it today? Chances are that answer is no. That’s just the way it is. Look, if I save a baby from a burning building and Kanye saves a baby from a burning building, there’s more Google news hits on Kanye. I’m fine with it. Likewise, in this scenario, if Sidney Crosby gets violently concussed and Trevor Daley (who also plays on the Penguins) gets violently concussed, we are conditioned to react far more strongly to Crosby. And when both are permitted to stay in the game after suffering said collision and not acting like themselves, Crosby will receive far more attention and sympathy. This story had all of the perfect elements to become a firestorm: a star player, visible and tangible signs of an injury, and negligence on the part of a major institution, one that has become a punching bag in recent years. But it’s entirely possible that the system has failed its players in the past, just like it’s plausible that many of the league’s players have gamed the new system this year. This is the other dilemma: we are trained to criticize the NFL for just about everything (and justifiably so) because most of us care about and love football. While the Stanley Cup Finals drew eight million viewers for the series’ deciding game last year, the NFL considered an audience of 30 million for a Divisional round playoff game a disappointment. It’s not like there aren’t people interested in hockey in the United States. But if a tree falls in the forest and ESPN isn’t around, does it really make a sound? Because so many of us watch and care about football, we are more likely to talk about Cam Newton’s bell-ringing than Sidney Crosby’s. And we’re more likely to destroy the concussion policies of Roger Goodell than we are those of Gary Bettman because we are more familiar with Goodell’s power-wringing and overall character than we are with Bettman’s. This is the thing: while the NHL has implemented comprehensive policies to protect its players, their protocol failed one of the most recognizable faces of the sport in its most-viewed period of the season. While good things can come of this, such as increased concussion awareness and a microscope on the NHL’s handling of head injuries, we need to seriously ask ourselves how we will react when something like this happens to someone like Radim Vrbata. I’m sure most of you don’t even know who Radim Vrbata is. Just know that he wouldn’t be treated with the same attention as Sidney Crosby, the new face of the NHL’s concussion crisis. These weren’t the same old Capitals, they said. This year would be different, they said. Have faith in Washington, they said. This team and these players would finish the deal, they said. The Capitals would win a Stanley Cup, they said. And yet, here we are, in the same position we were in years past, questioning what went wrong in Washington and what can be changed for the future. And yet, maybe the Capitals have passed the point of no return, blowing their best chance to date at finally getting over the hump. This year, the Capitals had the best season in hockey, amassing 120 points and 56 wins en route to the Presidents’ Trophy and home-ice advantage throughout the playoffs. For a time, they even flirted with NHL records in points (132) and wins in a 70+ game season (62). The points record is held by the 1976-77 Montreal Canadiens; the wins record resides in Detroit with the 1995-96 Red Wings. The Canadiens won the Stanley Cup in 1977 while the Red Wings lost to the Avalanche in the 1996 Western Conference Final. The 2015-16 Washington Capitals wouldn’t even get that far. In hindsight, the first harbinger of trouble in the Caps’ truncated playoff run was their first-round series against the Flyers. Washington jumped out to a 3-0 lead in the series before dropping games 4 and 5. The game 5 loss stands out in particular because the Capitals outshot the Flyers 44-11… and lost 2-0. The team would take game 6, but the damage had been done. The league’s best team was proven vulnerable. Game 5 saw the series return to the Nation’s Capital and the Capitals win 3-1 to force a Game 6. In that game, Pittsburgh would pull out to a 3-0 lead and hold a 3-1 advantage going into the third period. At this point, Capitals fans must have been simultaneously thinking the same thing: “Here we go again.” However, this team was supposed to be different, the squad to avenge the losses of the Capitals’ past. And while they couldn’t avenge those past losses just yet, the Capitals were able to avenge their bad start and tie the game at three with goals from Justin Williams and John Carlson. This one would also go to an extra period; would the outcome be different for this year’s Capitals? Here’s the question, though: what happened? Why didn’t things change from prior years? First of all, the Capitals didn’t choke. I say that mainly because I absolutely hate the use of the word in sports. The amount of proverbial or actual “choking” that goes on in sports is much less than you would think, especially if you only get your news from those who refuse to look at the facts. That being said, the Capitals’ failure does represent a rather enormous missed opportunity, one that may haunt the organization for years to come. This is why: Alex Ovechkin isn’t getting any younger. At 30, he’s the best player in the game of hockey, but he’s also coming into the twilight of his prime. Wayne Gretzky’s play began to decline around the age of 31; that isn’t meant to compare Ovie to the Great One, but it does show the mortality of NHL players, especially as the physicality and energy of the game takes a toll on their aging bodies. Another reason why this is such a big disappointment is that the team is built to win in the postseason. Yes, Ovechkin is the best player in the game, but goaltender Braden Holtby might be the best netminder in hockey right now. Holtby is a nominee for the Vezina Trophy, annually given to the best goaltender in the NHL. One of the major keys to victory in the playoffs is having a solid, consistent presence in net, and the Caps have one of the best goalies you could ask for. And while he gave up four goals in the team’s final defeat of the season, Washington’s elimination can hardly be blamed on him. By Goals Against Average, total saves, and save percentage, Holtby was the best goalie in the playoffs. While other netminders had better and more efficient statistics, they didn’t have to deal with an unceasing barrage of shots in their general direction; Holtby did. Even though he didn’t get the results to match his play, he is hardly the reason the Capitals are going home so early. Are the Capitals cursed? It’s difficult to say; they definitely are far from lucky. The comparisons between them and the Clippers and, more specifically, Alex Ovechkin and Chris Paul, are stunning. Neither player has made the Conference Finals of his sport, and neither star is at fault for his team’s repeated misfortune. That being said, the Capitals must recover quickly from this defeat. They’ve gone down time and time again early in the playoffs, so coming back from bitter defeat at the end of seasons is nothing new for them. However, it may be too late for the current version of the Capitals to seize the sport’s ultimate prize: the Stanley Cup. In this year’s NHL Conference Finals, both the East Series (Rangers vs. Lightning) and the West Series (Ducks vs. Blackhawks) went to seven games. On Friday night, the Eastern Conference Finals were settled: the Lightning won the game 2-0 and the series 4-3. They won decisively in the Rangers’ home, Madison Square Garden and handed the Rangers their first game 7 loss in their last seven outings. Last night, the Blackhawks and the Ducks played their game 7 in Anaheim. The Blackhawks took a commanding 5-3 win to secure a date with Tampa Bay in the Cup Final. And NHL commissioner Gary Bettman better be glad that they did. First of all, the absolute best match-up for the Final would have easily been Rangers-Blackhawks. This would attract the attention of two of the three largest media markets in the United States (New York and Chicago) and make for a generally very compelling and competitive series. This series would have also had stars abound; Patrick Kane and Jonathan Toews for the Blackhawks and Henrik Lundqvist for the Rangers. This series also would have featured two teams from hockey’s “Original Six”: along with the Rangers and Blackhawks, these were the Montreal Canadiens, Toronto Maple Leafs, Boston Bruins, and Detroit Red Wings. Not included with the “Original Six” were the Tampa Bay Lightning or the Anaheim Ducks. I’m sorry, but when I think of hockey, I just don’t think of Anaheim, California and Tampa, Florida. Point being, there is not nearly as much hockey tradition and, much more importantly, market support in these two regions. For example, take the Lightning’s only Stanley Cup in their history. They played the Calgary Flames in one of the best Cup Finals in recent memory. The series went seven games, and the last four games were all decided by one goal. Take a guess how that series rated, but first, watch this video to get a sense of how intense and exciting game 7 really was. So how were the ratings for that series? The series averaged a 2.6 rating for ABC and ESPN. Game 7 drew a 4.2 rating, but ratings always increase as the series gets further along. For context, last year’s Rangers-Kings match-up averaged a 2.8 rating, and that series only went five games. If it went to six or seven, the ratings would have assuredly been higher. In 2007, hockey was dealing with a nightmare match-up too: Ottawa vs. Anaheim. With games 1 and 2 of that series on Versus (which is now NBCSN), the rest of the series would be shown on NBC. However, game 3 of that series, on NBC, drew a 0.4 rating. 0.4.  For reference, the lowest rated TV program for 2014 was the CW’s Masters of Illusion, and that elicited a 0.3 rating. That’s right, a show broadcasting magic tricks nearly matched one year’s game 3 of the Stanley Cup Finals in viewership. The bottom line here is that both teams are synonymous with the game of hockey. The Ducks and the Lightning cannot say this about themselves. Also, I know this will makes me a culprit of “palm tree profiling”, but I’ll do it anyway. The fact that both the Ducks and Lightning play in warm-weather climates hurts them in terms of marketability. People do the same thing I do: they think of hockey and they think of a handful of teams (Red Wings, Blackhawks, Bruins, Rangers, etc. ), and rarely are they located in warm-weather cities. An example of this is the Los Angeles Kings: while they have won Stanley Cups two out of the last three years, they fall victim to potentially being under-marketed because they play in Los Angeles. However, a team that has not had as much success in the past five or so years, such as the Detroit Red Wings, are consistently marketed by the NHL; they are an “Original Six” team, and Detroit, in reference to the Red Wings, is often marketed as “Hockeytown”. So while it didn’t happen, a Ducks-Lightning final could have been disastrous for hockey. But we better be glad it didn’t. Chris Paul, Meet Alex Ovechkin? The Clippers ended their glorious and horrendous self-destruction yesterday with a lifeless performance in game 7 against the Houston Rockets. The Clippers were up 3-1 in the series but lost the last three (two on the road) to lose the series. They had won game 1 in Houston and games 3 and 4 at home; they looked as if they were unbeatable and also had a real possibility of a conference final appearance or even an NBA title. Most sad about these happenings, however, is that star PG Chris Paul failed to reach the conference finals for another year, as he has for the rest of his career. Another player in another major sport had his team in his conference semifinals. After a 7-game series in the first round (just like the Clippers had vs. the Spurs), his team won game 1 on the road and lost game 2. They went back home for two games, winning both. While this team and player did not look as unbeatable as the Clippers did after their game 4, they still looked as if they would win the series with ease. Of course, the next three games happened, and the team lost in 7 games. The other team I was just talking about was the Washington Capitals. Their star player is Alex Ovechkin. So, are CP3 and Ovie one in the same? Well, not quite. Statistically, Ovechkin’s numbers in the regular season are generally higher than those in the postseason. For his career, he scores 0.63 goals per game in the regular season, but in the postseason, that number drops to 0.5 goals per game. He averages 0.47 assists per game in the playoffs, but in the regular season he averages 0.55 assists per game. Points per game suffer the most precipitous decline however, as his numbers in that category from the regular season to the playoffs go from 1.18 per game to 0.97 per game. Is this all his fault? Probably not. Hockey is generally a more random game than basketball, more dependent on bounces of a puck and players that are on the ice at any particular time. However, the numbers don’t lie; he’s not as good a postseason player as he is a regular season player. Now we move on to CP3. He was drafted the same year as Ovie (2006) and has played in the same number of second seasons as Ovechkin (seven). However, his numbers actually increase across the board come playoff time. His points per game are up about two from the regular season to the post, from 18.7 to 20.9. His assists per game are somewhat down, from 9.9 to 9.5, but in the playoffs, rotations get shorter and star players need to do more offensively for their teams. His regular season field goal % is 47%; his playoff field goal % is 48%. He also shoots better from 3-point range in the playoffs, hovering around the 38-39% range. All of these numbers have been accrued in about two more minutes per game, which is an advantage Ovechkin doesn’t have. However, it’s clear: Paul is not a playoff choker, by any means. If anything, he’s actually better in the playoffs. What I’m trying to say is that there is much more at play here than just the performances of Chris Paul and Alex Ovechkin. Their teammates and organizations have not exactly helped them out in terms of personnel moves and big performances. However, one thing is clear: there’s a lot here. They are much more similar than you would think. The Clippers are done for this year, and everyone is now looking to Chris Paul for the answers.